Are you looking for a place to start a new business but you’re worried about how to provide housing for your staff? Or perhaps, you’re an expat yourself; working in Amsterdam for example and looking for a place to stay? Lelystad has the perfect location: centrally in the Netherlands with perfect connections via train, highway and even via the water and the sky. No one can live without space. Space to live and to grow. Residential and working space. Space for action, for relaxing and space to slow down and enjoy nature. Where can you do this better than at Lelystad? A city that breathes freedom, nature and water. Where there is space for everyone. Lelystad gives space! Lelystad has become a surprisingly green and adventurous region’s. One with a beautiful and unique coast line, with aesthetically pleasing residence quarters and facilities. Here in the heart of The Netherlands, work and relaxation meet and dreams are realized. This goes for inhabitants, visitors and entrepreneurs alike. Lelystad gives space because the air we breathe is for everybody, just like our city. We are proud of the great variety Lelystad has to offer. And with much pleasure we invite you to come over and experience this for yourself. Look further and experience Lelystad. Apart from space and nature, Lelystad has all the amenities of a modern town. 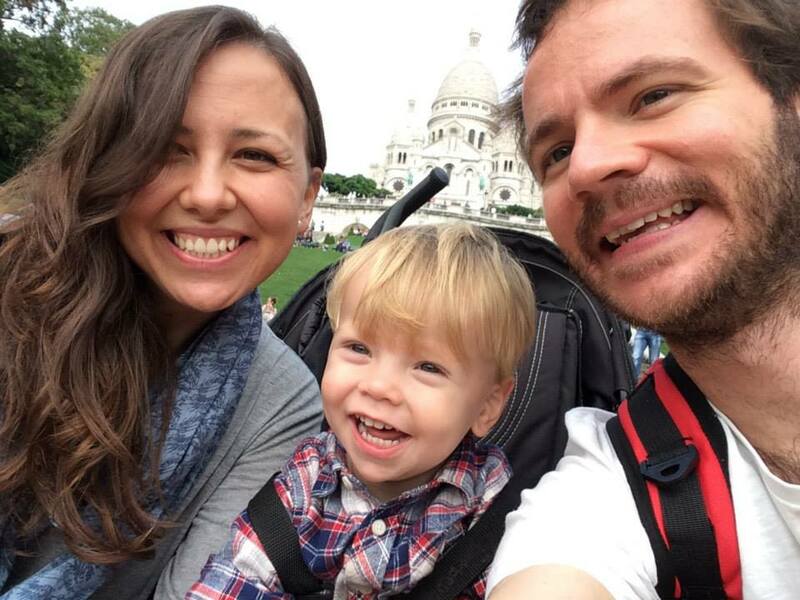 Culture lovers find a wealth of options. So do visitors who love extensive shopping. Take, for instance, the Batavia Stad Fashion Outlet. Each year it attracts more than two million visitors! But also the Nieuw Land Erfgoedcentrum (new land heritage centre) and the Bataviawerf (Batavia shipyard) are popular with visitors of all ages. Fascinating museums where history comes to life again! Out for lunch or dinner? No problem in Lelystad. Enjoy a glass of wine or a wonderful meal at the harbour, with view over the water. Or head for one of the cosy terraces in the heart of the city. Also regarding architecture, many exciting discoveries await you in Lelystad. At the coast you will find the landscape art Exposure, created by Antony Gormley. A must-see. Same goes for the impressive Agora theatre designed by architect Ben van Berkel, the Zilverparkkade plan created by Adriaan Geuze or the Bataviahaven by Rob Krier. You’ll find dynamic night life in the modern heart of the city featuring beautiful shop galleries, a theatre and a cinema, a cultural centre and a pop concert stage. In addition, Lelystad organises a bigger number of special events, such as the Batavia haven days and LelystART, to initiate the cultural season each year. 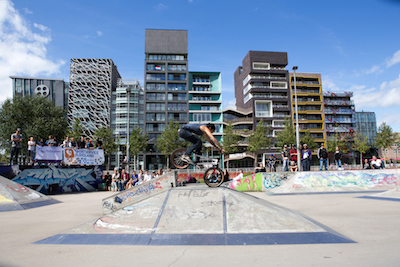 Lelystad provides space for entertainment and fun. Want to go on safari in Lelystad? You can! The internationally well-known nature reserve ‘De Oostvaardersplassen’ is open each day for hikers with a heart for animals. In this natural marshland thousands of bird species live; among which the sea eagle, the marsh harrier, the buzzard and the cormorant. Here you also can meet, all of a sudden, impressive grazing animals such as Heck cattle, Konik horses or red deer. Natuurpark Lelystad features countless animal species, too. Wild pigs, beavers, wisents and Przewalski horses: Any of them you could spot in this park. Apart from the Oostvaardersplassen and the Natuurpark, Lelystad is surrounded by forests like the Overijsselse Hout and the Houtribbos. There also is the Zuigerplasbos, designed and maintained as urban forest with lake Zuiderplas at its centre. A fantastic wide, green area where you can greatly enjoy hiking, cycling or fishing. And those who love adventures can follow the Flevospoor: A hiking trail of 46 mi (75 km) length across rough grounds. In other words: Something for every taste and preference. Finally, a wide network of cycling, hiking, skating and horseback riding routes will lead you to the most beautiful and unusual places of Lelystad where nature still is allowed to follow its very own course, undisturbed. Lelystad gives space to nature. Lelystad was intended to be the main city of the IJsselmeer polders. Therefore, the city was named after the founder of the Zuiderzee project, Cornelis Lely. Cornelis Lely was a Dutch engineer, an expert of hydraulic engineering as well as a minister, governor and politician. In 1891 Lely developed the plan for the closure of the then called Zuiderzee, creating the IJsselmeer. 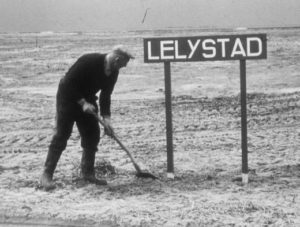 Construction of Lelystad actually began before the Eastern part of Flevoland was drained. Construction of the remaining part of the city began in 1965. And the first inhabitants arrived in September 1967. However, development of Lelystad proceeded slowly, mainly due to poor connections to the mainland which persisted for years. It was mid of the nineties when a major course change took place at Lelystad. From that point on, renowned architects were attracted and involved to give the city an own identity and more confidence. Old residence quarters got restructured and the city centre was completely renewed. Also, the coastal area of Lelystad got a new impulse due to construction of high quality residence quarters and new recreational facilities there. Would you like to know more? Visit the Nieuw Land Erfgoed (new land heritage) museum. Lelystad is conveniently situated; easily accessible by public transport, such as train or buses. The city centre and the city hall both are very close to the railway station. A charging station for the public transport ticket (OV chipkaart) can be found at the kiosk at the station forecourt (‘Stationsplein’). At the kiosk ‘Spoorzicht’ nearby the NS-stationstraat is a charging and retrieval station for the public transport ticket (OV chipkaart). The kiosk is open daily and is situated close to the station. It offers the option to load public transport chipcards and to retrieve public transport products previously bought via Internet. Go here to find the nearest card loading station. From train station Lelystad there are various direct train connections to Almere, Amsterdam Centraal, Schiphol and Amsterdam-Zuid (Amsterdam South). From these, you can change to additional destinations. Also, since December 2012 there is a train connection between Lelystad and Zwolle, the Hanzelijn. Public transport, from door to door, for everyone, seven days a week. With the Regiotaxi Flevoland you travel comfortably towards your destination. Travellers using public transport at Lelystad also have the option to participate in car sharing. Users will pay just for the actual use of the car, not for the costs of owning it. Arriva is the company operating the city bus transport in Lelystad. There are two international schools located within easy reach from Lelystad, both located in Almere. Letterland International Primary School operates in conjunction with Letterland Dutch Primary School. Letterland offers a dynamic environment in which all children and teachers are encouraged to develop to their full potential within a multicultural, international setting. Letterland offers the British curriculum for Numeracy and Literacy, Dutch as a second language and the International Primary Curriculum (IPC). The school is housed in modern facilities, including computers/laptops in every classroom, an English and a Dutch library, two playgrounds and sports facilities for the younger children. After-school care is also available. The International School Almere is an English-language secondary school. The school has a global outlook and follows an international curriculum. Small classes, with usually less than 18 students, enable the teachers to know each student well and address their individual needs. The International School Almere is located in Almere Poort. Visit www.dutchinternationalschools.nl for more information on international schools in the Netherlands aimed at specific international target groups. There are also excellent Dutch schools in the Almere-Lelystad area. Some families prefer this option, as it is a good way for their kids to get more involved in the Dutch culture. For more information about the Dutch education system visit this page. Medical care in the Netherlands is not free of charge. Depending on income, a citizen is compulsorily insured in the National Health Service. In your case, you or your company will usually take out a health insurance policy. You will often be asked to prove that you hold such an insurance when healthcare is being provided. Medication prescribed by a general practitioner or specialist which has to be collected from a pharmacy, must be paid for directly to the pharmacy. You will then, be provided with an invoice which you can subsequently charge on to your insurance company. For more information about the Dutch healthcare system, refer to the dedicated page. In October 2018 the MC IJsselmeerziekenhuizen B.V. has been declared bankrupt. From the fist of March 2019 the hospital in Lelystad will be taken over by St Jansdal. They will make a few changes to the hospital. For now it seems like all outpatient facilities will remain available but the hospital will lose its accident and emergency department. As a result people who need emergency care will have to go to other hospitals in the region, such as Almere and Harderwijk. For more information, contact the hospital. Always take your ID and medication overview with you to your appointment at the hospital. This also applies to children. Lelystad is easily accessible thanks to its great connections to the region by public transport and road. That, added to its pionering spirit, is what makes entrepeneurs feel at home. Lelystad counts with several attractive business parks and development locations, all in a green and blue environment. With Oostvaardersplassen as its backyard, and the Markermeer next to it, Lelystad is surrounded by nature and space. Lelystad is one of the youngest and fastest developing locations in the Amsterdam Metropolitan Area. Since the city is so young, there are plenty of opportunities for developments, as well as a large variety of job opportunities. Lelystad is known as a surprising city, where hospitality and space are of great importance. In terms of surface, Lelystad is one of the largest municipalities in the Netherlands, so there are endless possibilities for growing companies. Lelystad is always open to ambitious and innovative plans. Innovation comes in various forms in Lelystad. From Batavia Stad Fashion Outlet to an international airport, from one of the fastest cars in the world (Donkervoort) to the creation of new land (Marker Wadden). A lot is happening in this fast growing city, and those who take part at an early stage, will benefit from it. One of the fastest developing areas in Lelystad is Lelystad Airport. Over the next 5 years, more than 200 million euros will be invested in Lelystad Airport by various parties. In 2019, the airport will be one of the largest holiday airports in the Netherlands. Lelystad Airport will be a clean, safe, innovative and relatively quiet airport. The airport has full air traffic control and a modern fleet. Look for more information about all the opportunities that Lelystad has to offer as an investment location at www.lelystadopportunities.com. Lelystad has beautiful housing possibilities that are economically priced and relatively large for Dutch standards. All in a green and blue environment, which definitely is Lelystad’s unique selling point. Living with a view of the Markermeer, living in a dune landscape, on the edge of the woods or living with a jetty outside the house: everything is possible. If you’re considering buying a house or apartment, it is advised to first meet with a mortgage advisor at your bank or an agency. This will give you a realistic picture of what you can afford. The choice of property is either freehold (eigen grond) or leasehold (erfpacht). Make sure to read up on housing rights. As a buyer/occupier you will not require a housing permit for an existing property, nor for a new build. For the housing supply in Lelystad you can refer to Funda. If you’re planning a short-term stay (under five years), renting is your best bet. The Amsterdam area is a popular market for housing, so finding a place to live can be a challenge. 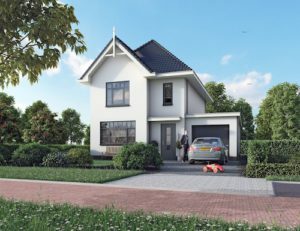 Fortunately, Lelystad’s privileged location is able to offer more spacious and more reasonable priced housing than other areas. The safest, most efficient way to find a rental property in the private market is to commission a good real estate agent (makelaar) with experience in helping expats. For more information about renting in the Amsterdam area, you can refer to this page. Lelystad offers a brand new international airport, state of the art and innovative business parks plus attractive and affordable homes. All in a green and blue environment, located centrally in the Netherlands. For more information on the opportunities of Lelystad contact the department of Economic Affairs of the Municipality of Lelystad. © 2019 Lelystad. City of opportunities.